Not all remodels are fun for the homeowner. This one was done out of necessity. 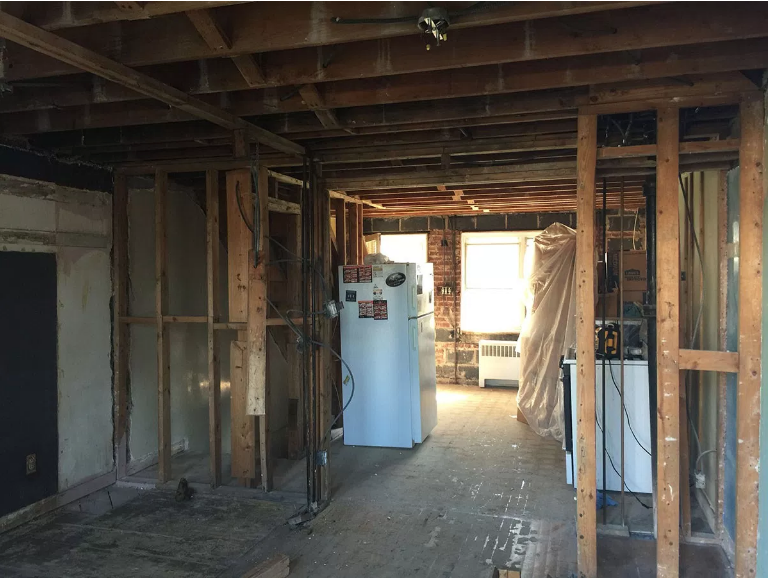 A toilet overflowed on the second floor and the entire first floor, including both stairwells and the second floor hallway, had to be demoed and remodeled.